It has a sequencer with a trigger input, so you can sync videos with a drumcomputer (tr-808) or one of my HSS synths. You can set the volume of a video, select videos, scroll forward and back in a video, all using potentiometers. It is for use with the youtube mixer. 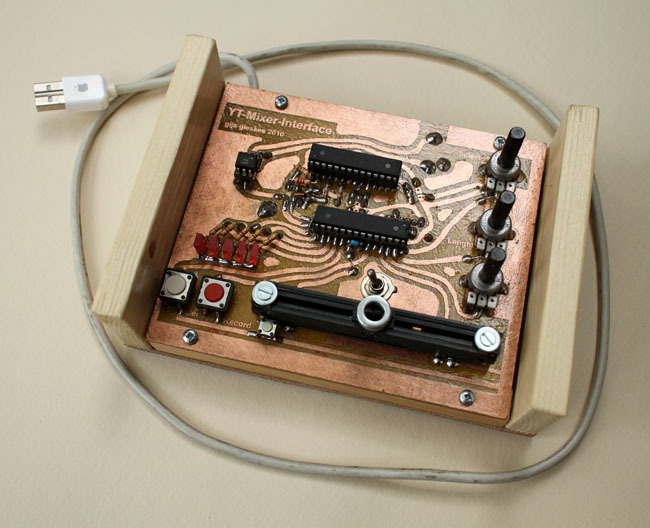 The top Atmega168 is loaded with the script from this device. The bottom Atmega168/Atmega328 is loaded with this script.